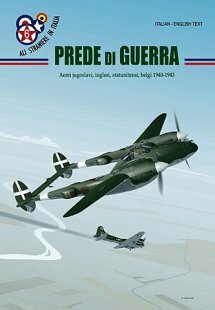 This high-quality series of monographs edited by "LA BANCARELLA AERONAUTICA" is exclusively devoted to Italian WW2 aircraft. The series is edited by Giorgio Apostolo, the best known and most respected Italian Aviation Historian and the author of several authoritative texts. 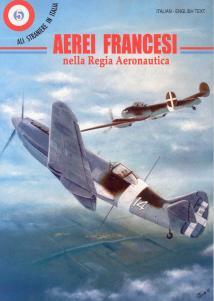 The volumes contain text in both Italian and English and contain the history of each aircraft and a technical description of the planes. Each book is lavishly illustrated with drawings from original instruction manuals and never before seen photos. The technical drawings ( 6-views ) are provided in both 1/72 and 1/48 scales; colour profiles, views and cockpit interiors are also provided. Size 210 x 297. 50+ pgs. With a worsening supply situation and in need of canon equipped fighters to counter the growing menace of American four-engine heavies, the Regia Aeronautica placed sizeable orders for the Bf.109G as a stop gap until enough Series 5 aircraft could be manufactured. These aircraft were flung against American fighter and bomber squadrons in the last dramatic phases of the war. No other country outside of Germany has gained as much notoriety in the use of this aircraft as did the Italians. 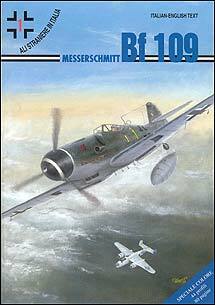 Seeing that the number of Ju87s avaiable could not reach the prescribed numbers needed to put into effect the tactics of the Luftwaffe, the Italians developed the skip bombing technique well before its use in the Pacific war. 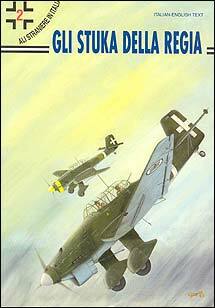 This book covers the full history of this well known German dive bomber in use by the Regia Aeronautica. The book consists of 72 pages with 16 very attractive color profiles by Marco Gueli, some 70+ photograhps (many of which never seen before) and a very comprehensive text by Fabrizio Becchetti. Constructional details are illustrated as found in the original Instruction Manual. The text is bilingual (italian-english). 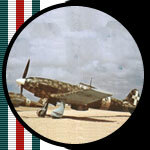 Acquired by the newly formed AMI, the Baltimore saw extensive usage with the Italian Airforce following Italy's capitulation in 1943. A splendid 64-page monograph in which the authors have gathered all that could be found on the design, history and operation of this very attractive twin-engine bomber. Some unusual colour profiles of the aircraft by the artist Marco Gueli are offered for the first time, while the text gives an exhaustive survey of the aircraft operation, both in the hands of the Desert Air Force and of the Italian Cobelligerant Air Force. The constructional details are covered in depth with the help of drawings from the original aircraft Operating Manual. All the text is bilingual. 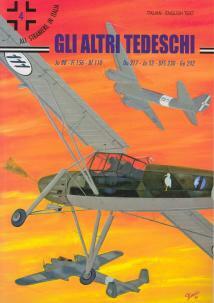 Covers German aircraft in use by the Regia Aeronuatica including the Messerschmitt Me.110, Junkers Ju.52, Ju.87, Ju.88, Dornier Do.217, Fieseler Fi.156 Storch, Gotha Go.242, DFS 230, Do.24 and Flettner Helicopter. The 78-page volume contains a great deal of never before published photographs and colour profiles. Bilingual text (Italian and English). Covers French aircraft in use by the Regia Aeronuatica such as the Dewoitine D.520, Loire Nieuport LN 411, Morane Saulnier MS.406, Breguet Bre.693, Potez Po.63.11 (Potez 630) and the Liore et Olivier LeO.451. 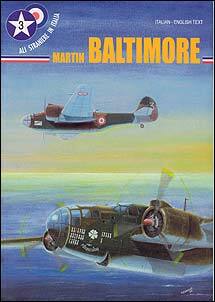 This is a well illustrated and thoroughly documented survey of all the captured French aircraft that saw service in the Italian Air Force during WWII. The author Giancarlo Garello, is the most qualified specialist in this area of research. The outcome of all this work is a very appealing 72-page book in which a great deal of new information is supplied, along with all the Serial Numbers of the captured aicraft and an extremely interesting photographic documentation (many photos have never been published before). Beautiful colour profiles by Marco Gueli. Text is bilingual (Italian and English).